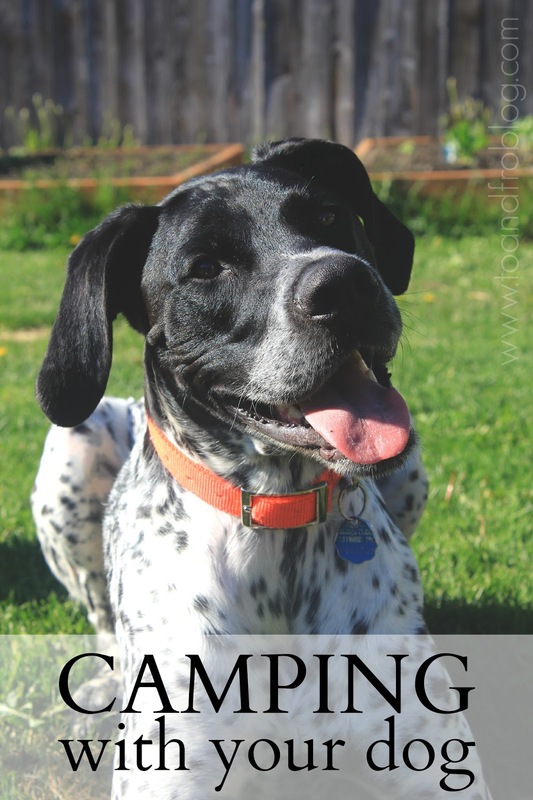 Are you thinking about taking your dog camping this summer? The outdoors is one of the best places to spend time with your furry friend. Like us, dogs need time to unwind and love to explore new places. The key to a successful camping trip with your pet is to be prepared before you go, and while you are enjoying nature. Here are a few tips that will make camping with your dog a bit more enjoyable and safe experience. Check that the park is dog friendly. Rules regarding dogs vary from park to park, so make sure to check before you go to avoid disappointment. Talk to your veterinarian. Make sure your dog is healthy and up to date on all required vaccinations, including rabies. Ask your vet about other precautions - such as mosquito, flea and tick control. Pack a copy of your dog’s medical records. This is especially important if you are crossing province/state/country lines. Have a local vet's number on hand in case of emergency. Bring extra drinking water for your dog. Do not allow your dog to drink out of standing bodies of water as it can make them sick. Bring your dog's regular food and treats. To avoid problems, keep them on their regular schedule. Pack the other essentials - waste bags, bedding, toys, leash, collar and ID tags. Consider bringing a bear bell if camping in bear country. Consider the weather and sleeping arrangements when deciding what to bring. Know basic dog first aid. The most common injuries are to a dog’s foot pads, so be prepared before you go. Carry a first aid kit that includes a few extra supplies for your furry friend. Ask your vet if you need help knowing what supplies to include. Allow your dog plenty of time to adjust to the new surroundings. Being in a new location can often be overwhelming and stressful to your pets. All of the smells, sights and sounds can be stimulus overload. Take them on a walk around the area to explore and allow plenty of rest. Keep your dog leashed at all times. Never leave your dog unattended. This will help keep your dog safe, and avoid unwanted visitors. Most parks require a leash that does not exceed 6 feet in length. Be attentive to your dog’s health at all times. 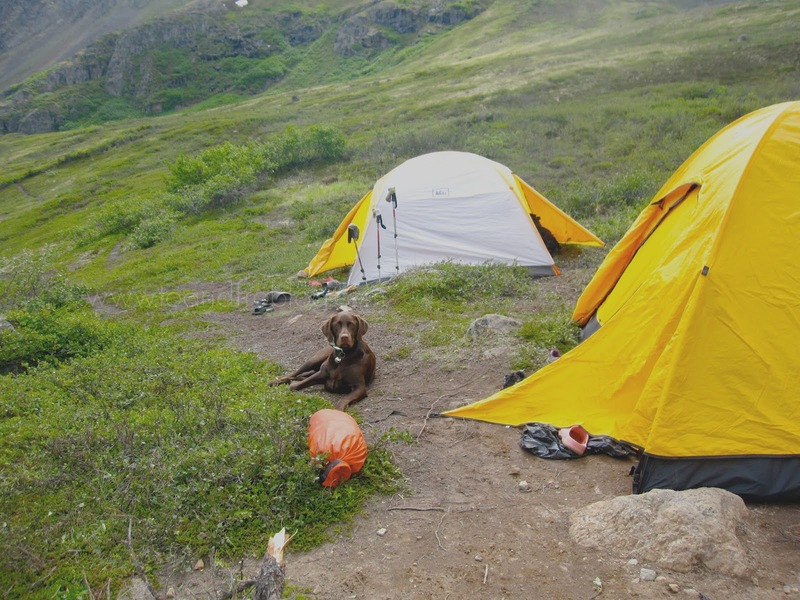 Consider your dog's needs during camping activities. If going on a day-long hike, allow plenty of time for your dog to rest. Remember, they overheat quickly. Give them plenty of water to cool down. If your dog begins acting unusual and you cannot figure out why, seek a local vet. Remove any leftover dog food. Store the dog’s food with your own, in a place where it will not attract unwanted wildlife. Always pick up after your dog. Make use of designated walking areas and remember, you are not the only one using the area. Carry environmentally-friendly dog bags to dispose of your dog’s waste in appropriate trash containers. Keep your dog under control at all times. 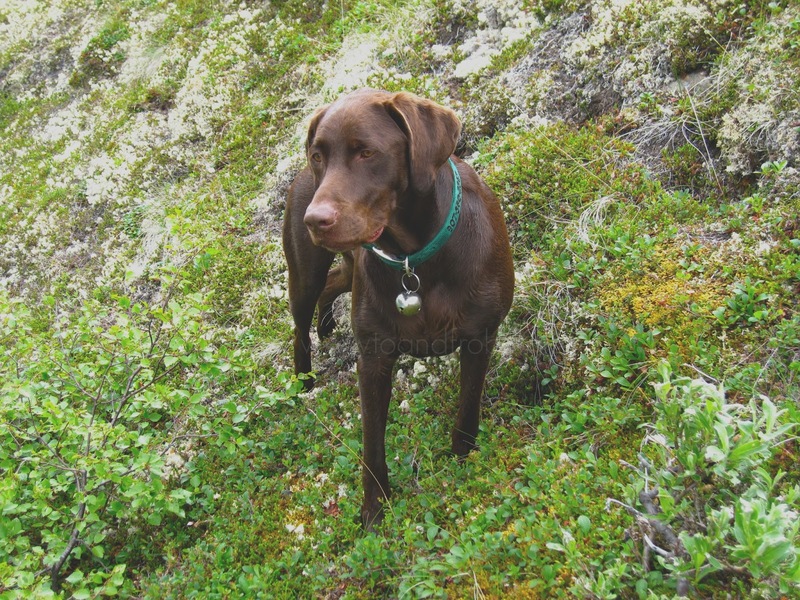 Do not allow your dog to bark or wander off as it may disturb the wildlife and other campers. Please note, while I would love to call these two pooches my own, Boomer and Kona belong to our friends in Alaska. We had the pleasure of going on many Alaskan hiking, fishing and camping adventures with them. Do you take your dog camping? What are your tips for exploring the great outdoors with your furry friend? Your models for this post are absolutely adorable!! We currently don't have a dog but plan to get one in the future. Hope you have a great weekend!! Awww, we brought my parent's dog camping with us a few weeks ago and she loved it! Although she probably would have loved to be off leash more but with so many little animals nearby, we knew she'd run off. And she would only go to sleep if she was in my sleeping bag with me - even though we brought her bed and everything - it was pretty cute. I want to take my pup camping soon! Great tips! I havent taken my pup camping yet but she would love love it! !